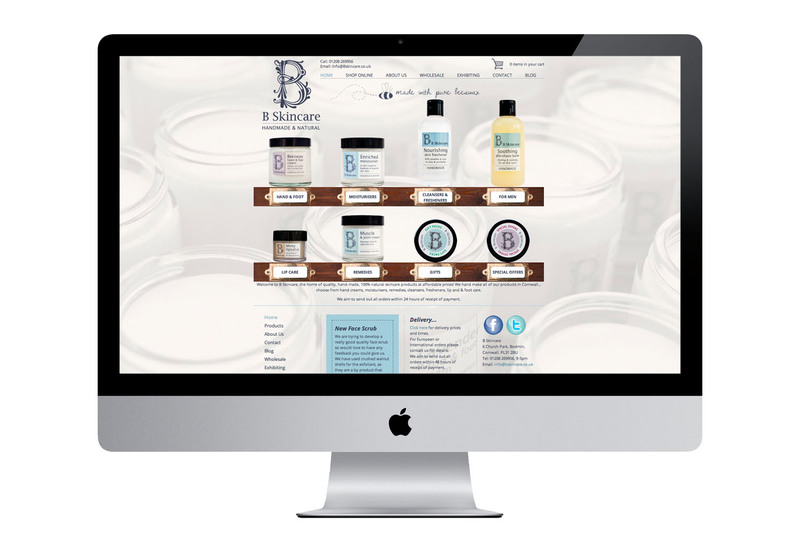 We have been working with B Skincare for the past 4 years, in that time we have designed and built them a new e-commerce site, produced an extensive photography archive and developed their print marketing, point of sale and exhibition signage. 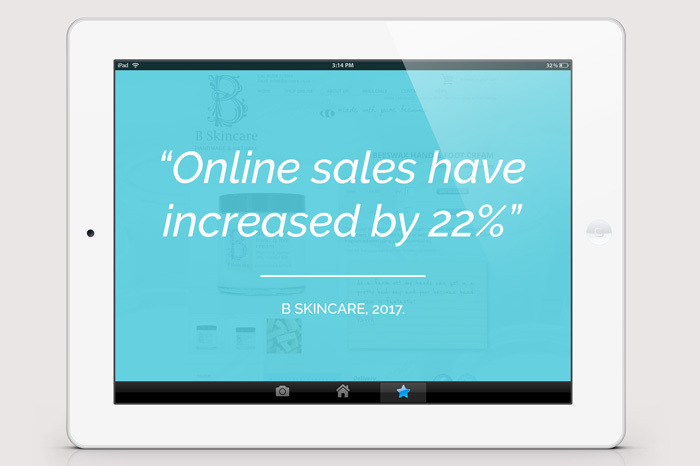 We recently had a chat with Chris, owner of B Skincare, about the effectiveness of their website over the last 4 years. Our new website went live in the summer of 2013. We took ages to decide who would make our new website. It was such a hard choice to make and a big investment for a small business. It's a decision we have never regretted, Design Room were brilliant! The website is so easy to use compared to our old e-commerce site, which is important for us to be able to train staff to use and update, and on the very rare occasion we have a problem the support provided is both quick and excellent. The back end of the website provides us with easy to use tools to put offers on products, find which are our best sellers and compare sales from previous months or years - tools that we never had before and data that was so much easier to review. We now have a website we are not only proud of, but one which has increased our sales both through online orders and companies making wholesale enquiries. Our online sales rose by 11% in the first year, 45% the second and 10% the third. We did not do any additional marketing and are only now 3 1/2 years later starting to do this. We also have a number of companies who found the website, were impressed by what they saw and are now ordering from us. These companies range from other businesses in the UK to places like Slovakia and Sweden. One of these companies provides 20% of our turnover. Design Room are easy to work with, imaginative and patient. The fact that we were working with 3 experts - Sal and Emma for photography and design, and Mike for web development - meant that not only do you get a website that looks good it works just as well. We feel that we have a great product and an excellent service which does not end when the website is up and running. - Chris Pearce, B Skincare.